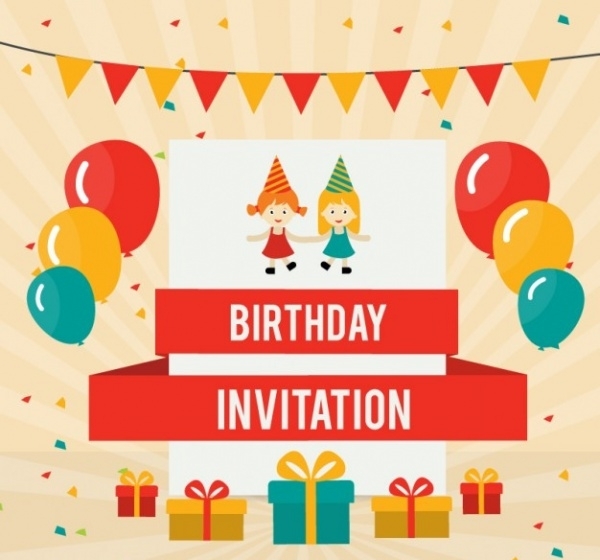 Be it any kind of party, the invitation has to go out to the people. 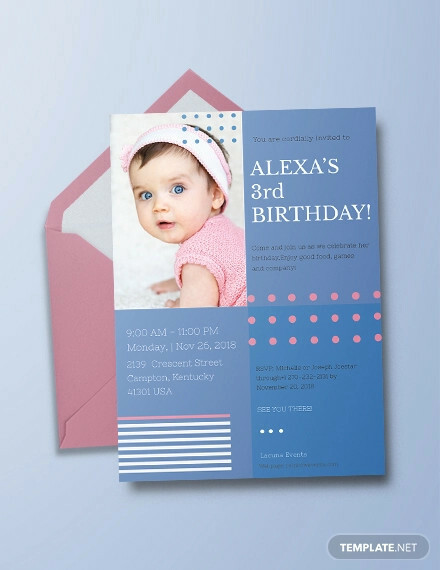 This invitation can be given out by just speaking to the person, or can even be printed out or digitally designed and spread through the web. 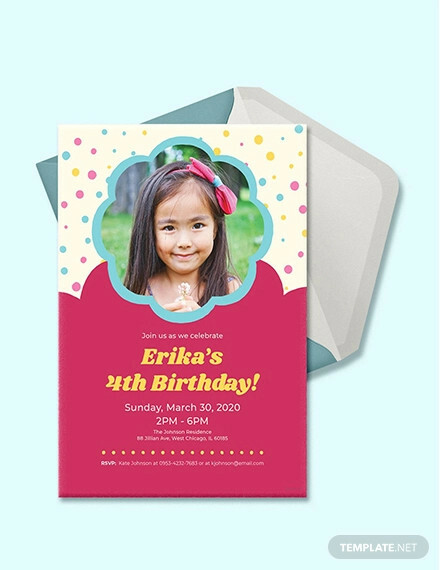 There are templates available that you can just use and edit to create a final invitation like these Party Invitations templates. 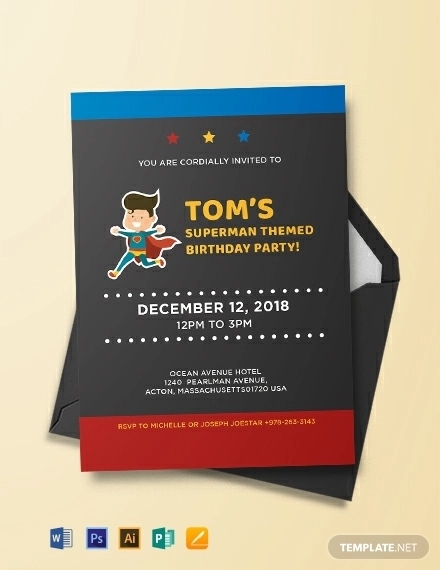 Here, you will come across various templates that make the perfect fit for a kid’s birthday party invitation. 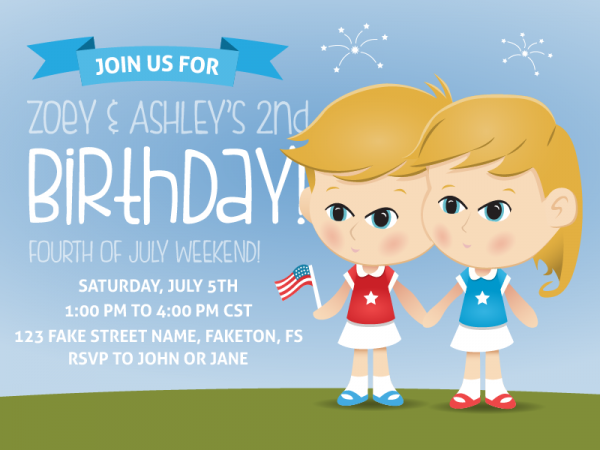 Kid’s birthday party invitation can always have hand-drawn cartoon elements just like in this invitation by Adam Miller which is a Fourth of July themed invitation.You may also see Wedding Invitation Cards. 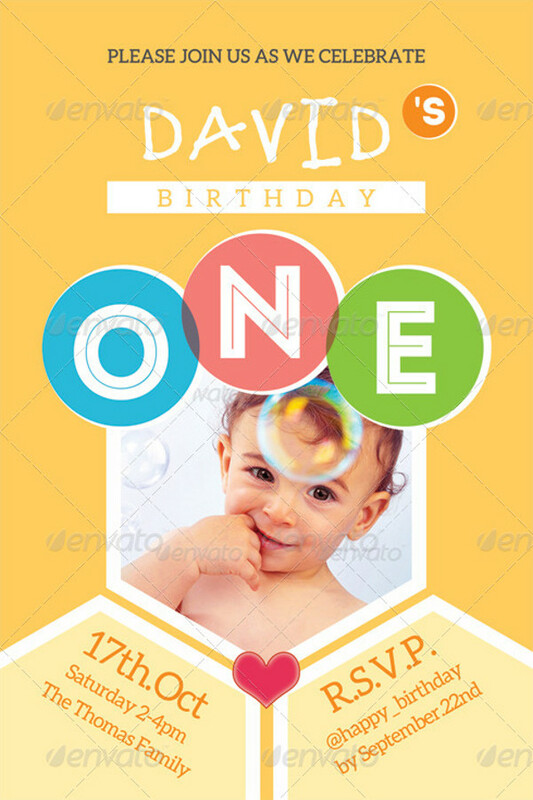 Check out this simple yet cool birthday invitation card that has balloons, streamers, gifts, kids in birthday hats as design elements. 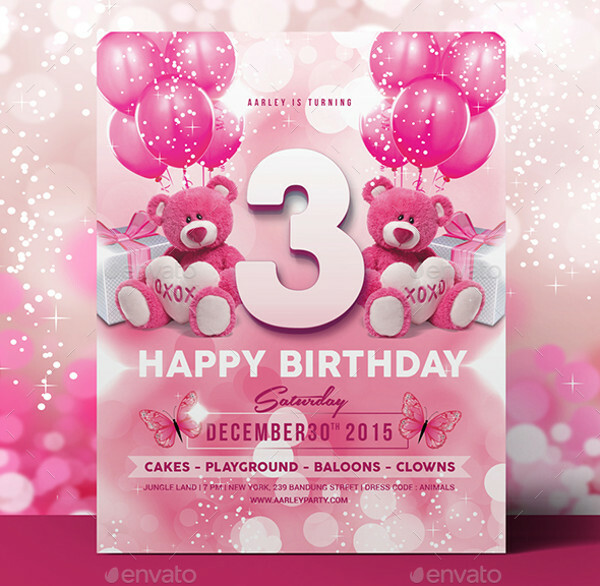 Download this vector illustration for free from the given link. 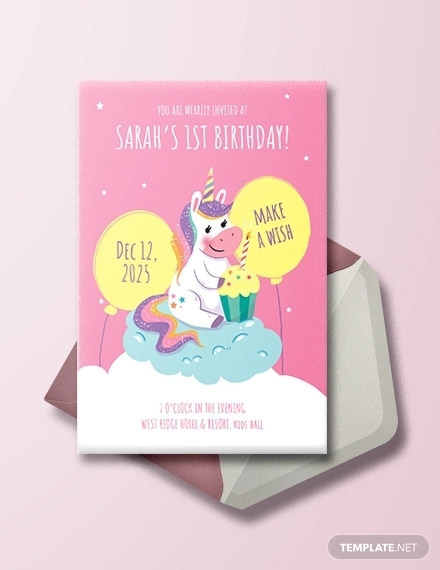 This design is by London-based PEA-NUT design studio that shows a little girl wearing a princess tiara. 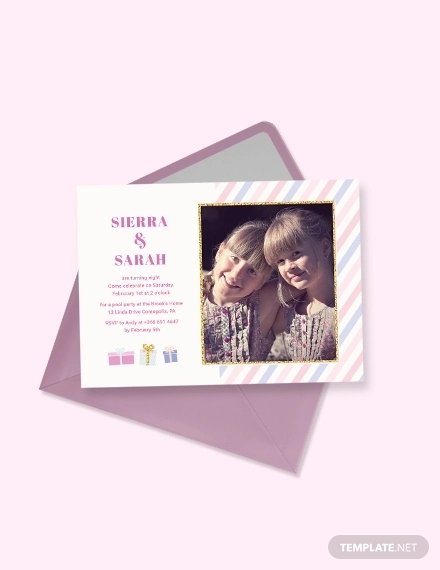 This layout can be used for your girl’s birthday party invitation too. 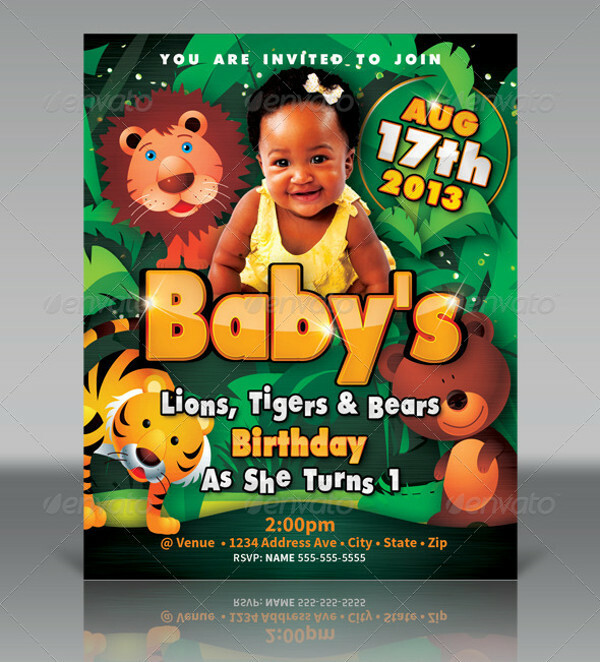 If you are hosting a forest or jungle themed birthday party for your kid then make sure you have a copy of this template. 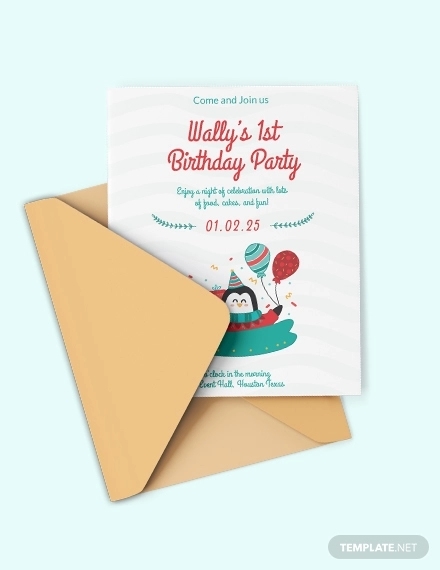 The print ready design can be downloaded in fully layered and editable PSD file. 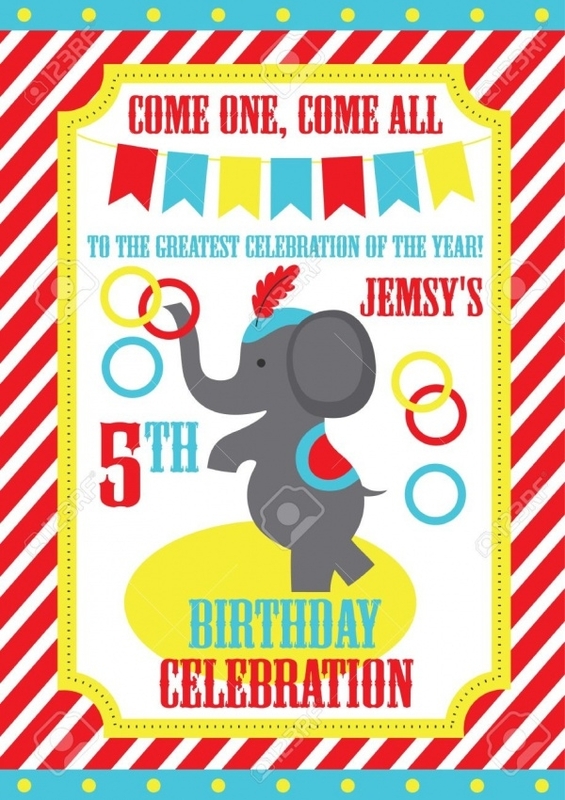 This birthday invitation shows a circus monkey in cartoon-like colors on a colorful design for a birthday invitation. 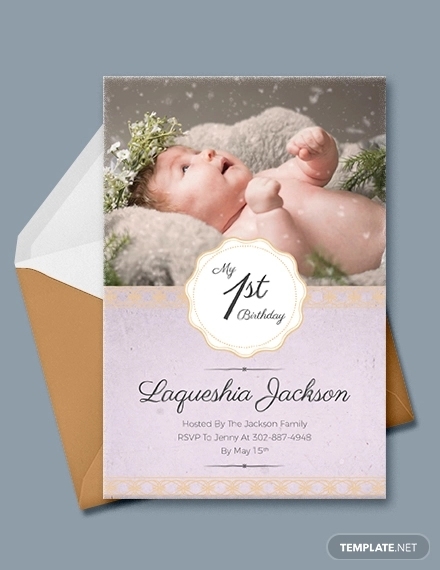 You can download the design in various sizes for web and print purposes. 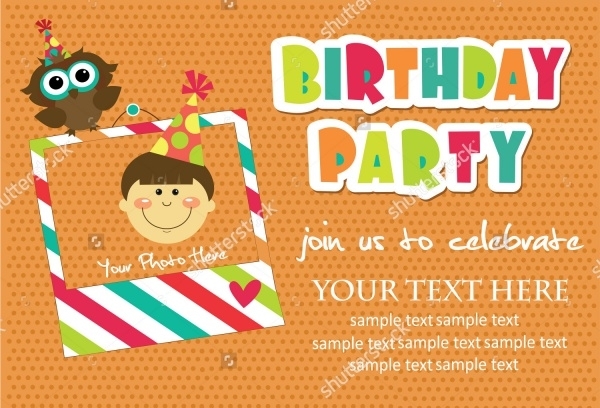 Here you will find animated cakes that can be put as the cover picture for the invitation. 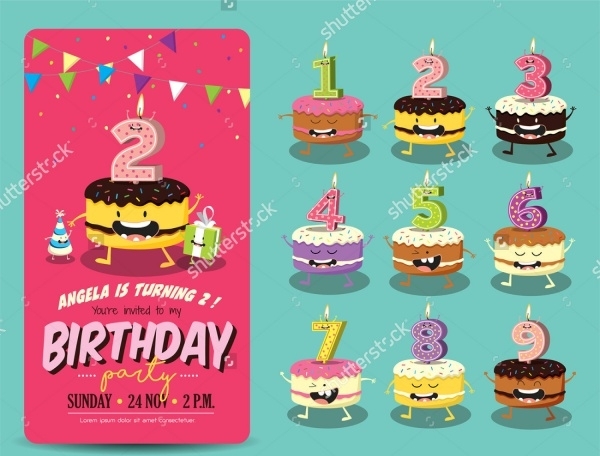 There are different cakes that go up to the 9th year birthday celebration. 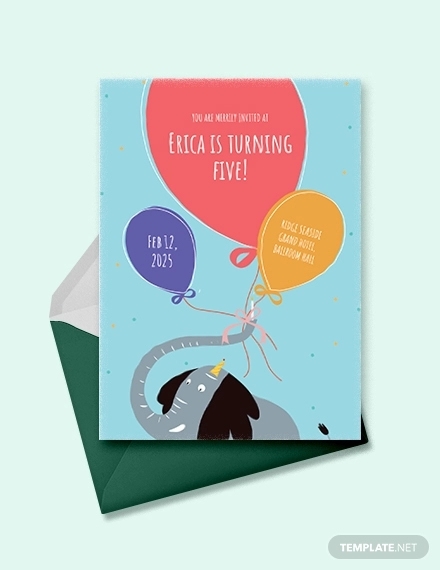 Make the kid’s first birthday memorable with this design set at 4×6-inch and is available in a print-ready resolution of 300 dpi. 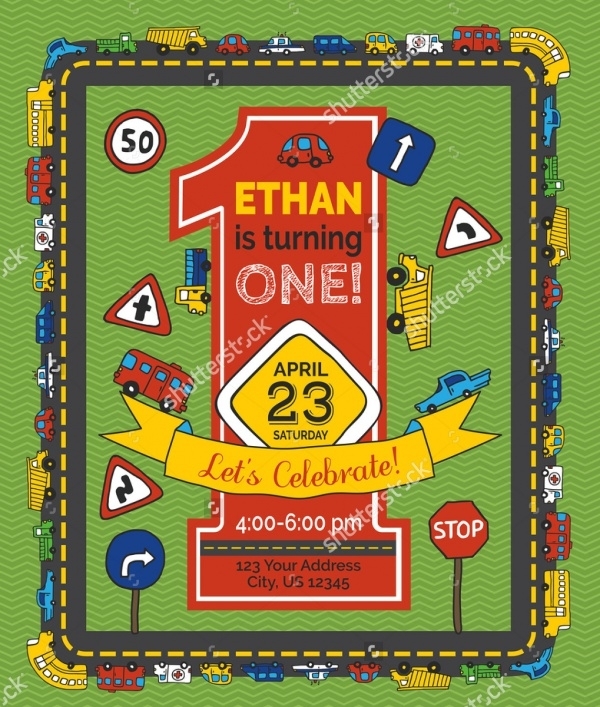 Here is a completely colorful and joyous looking birthday invitation that uses various design elements to give it a rustic look. 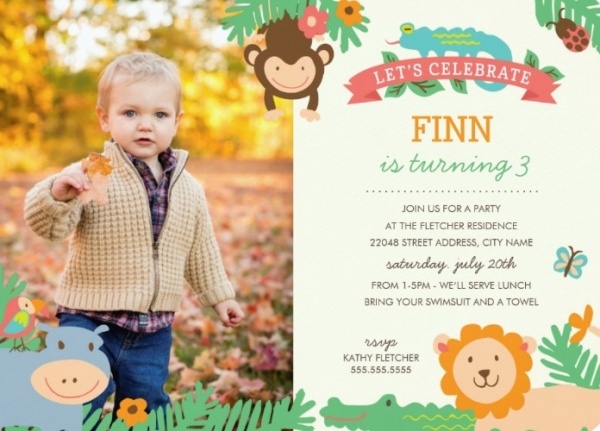 Here is another colorful invitation for kid’s first birthday party invitation. 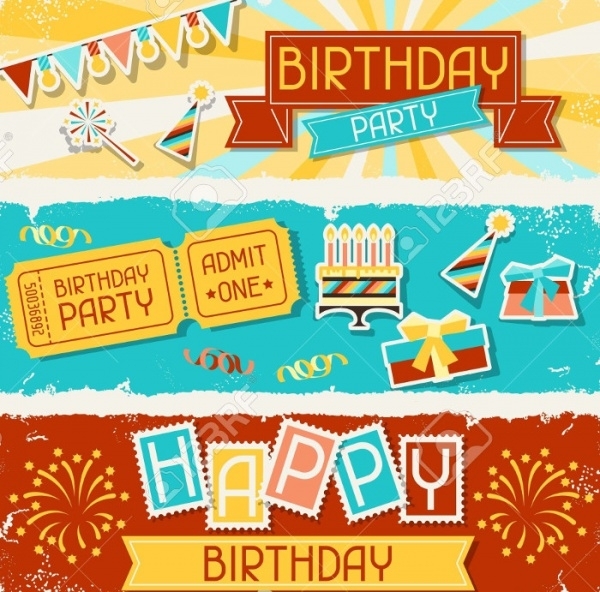 You can download this vector illustration in different sizes from ShutterStock. 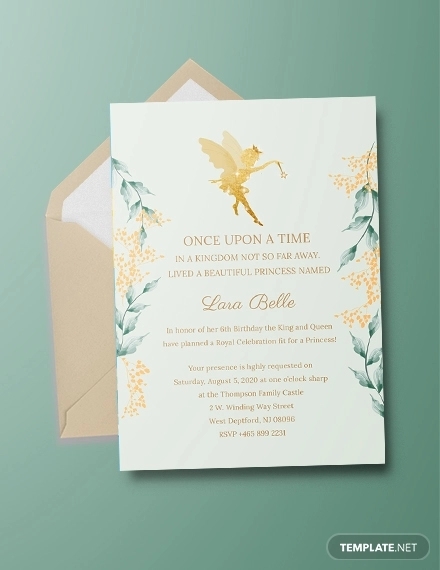 Make your girl feel like the little princess that she is with this elegant birthday party invitation. 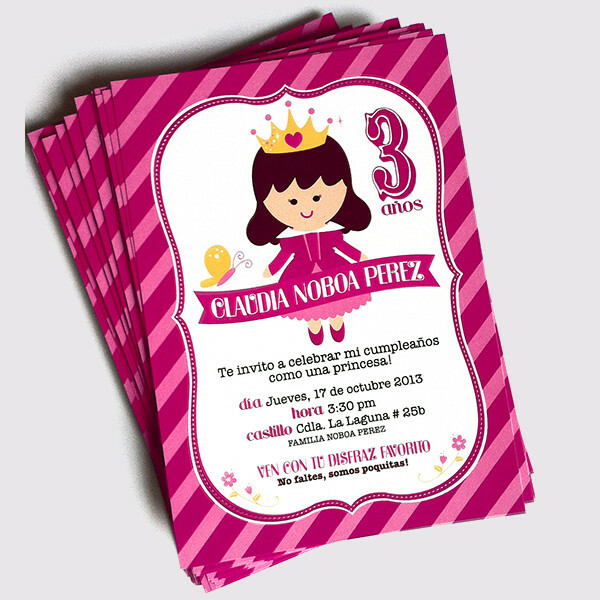 The design is set in CMYK color mode and 300 dpi. 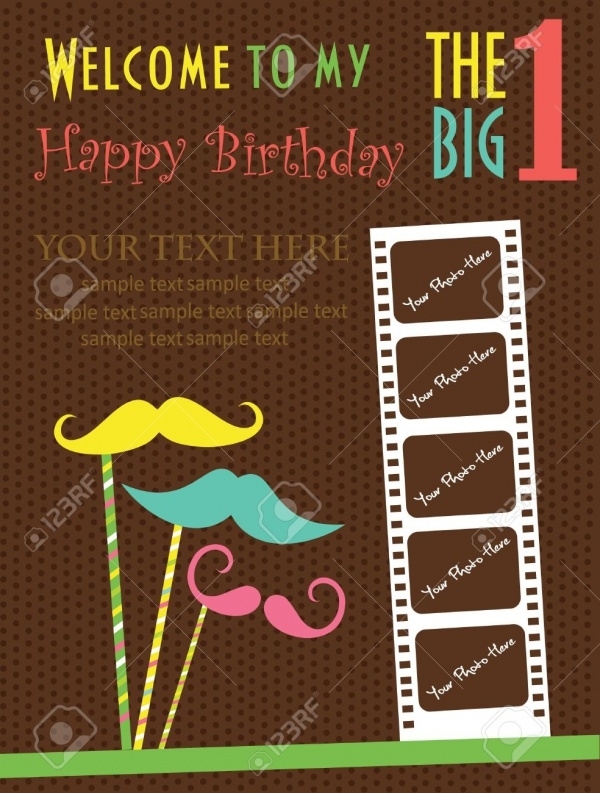 Here is a cool looking vintage birthday invitation design. 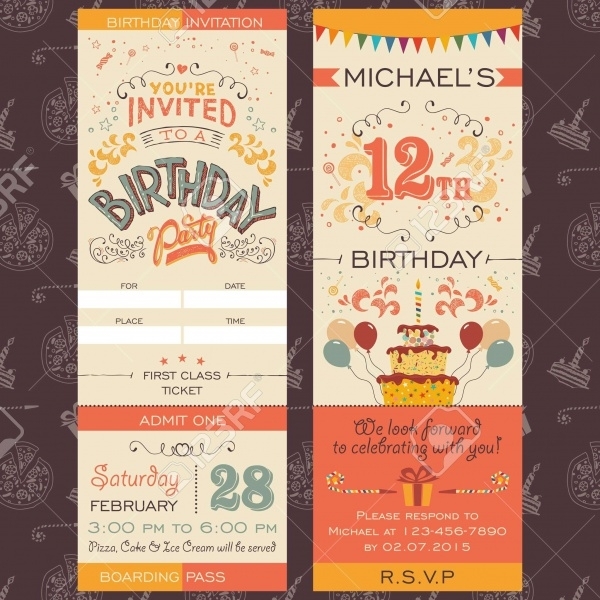 The design uses amazing novelty fonts that add the celebratory theme to the overall design. 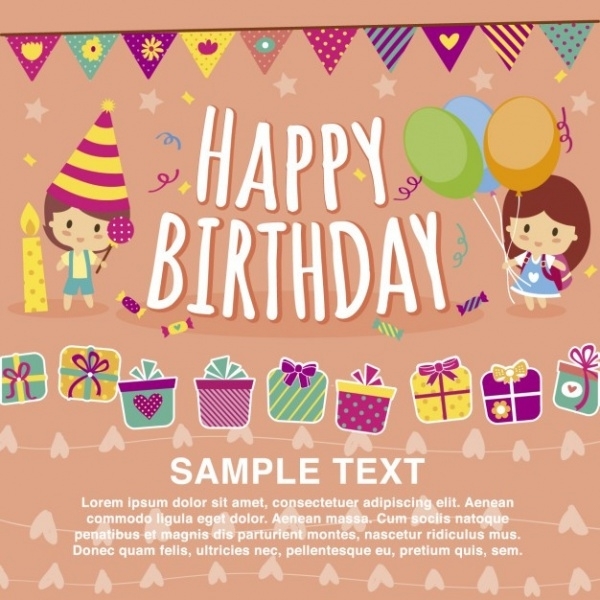 Here is a simple and cute vector illustration available on ShutterStock. 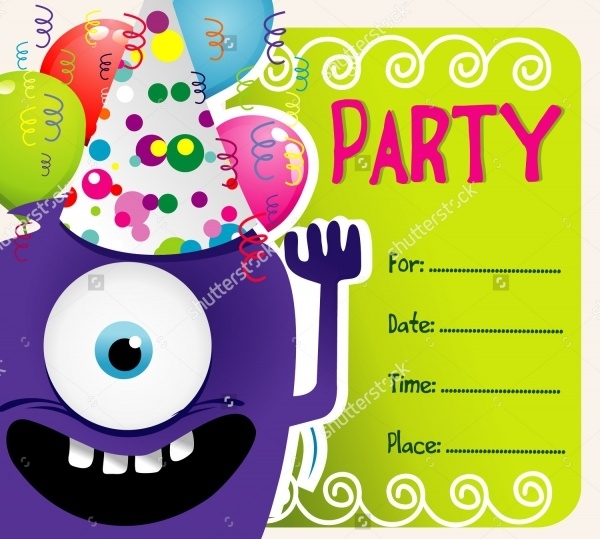 The use of animated cartoons and the cake are something that will never be old for a birthday theme. 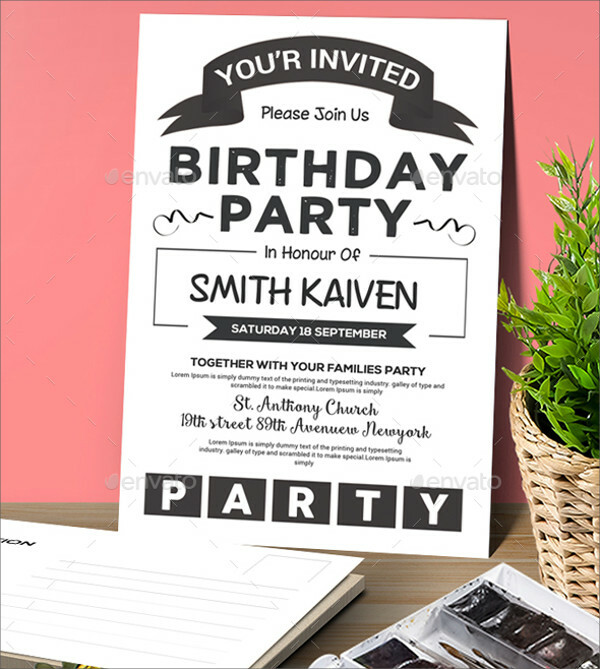 This is a professional template that is available in A4 and US letter sizes. 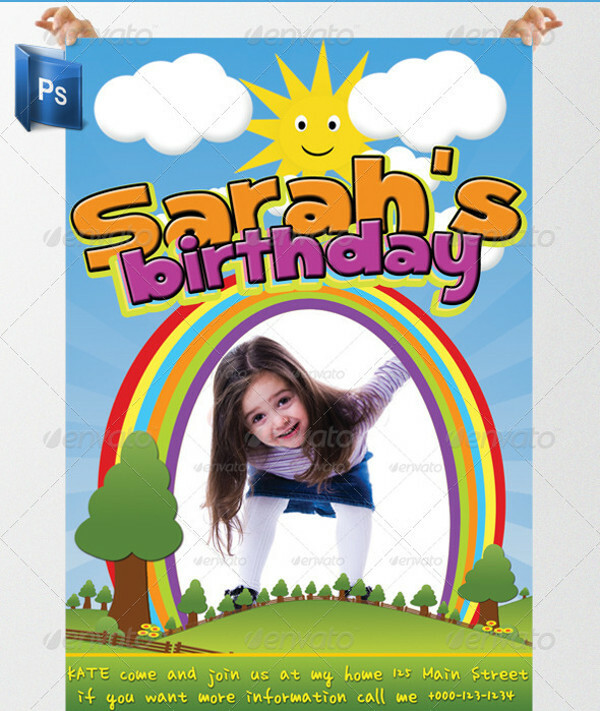 The PSD download is completely organized and can be easily edited using the knowledge of smart objects in Photoshop. 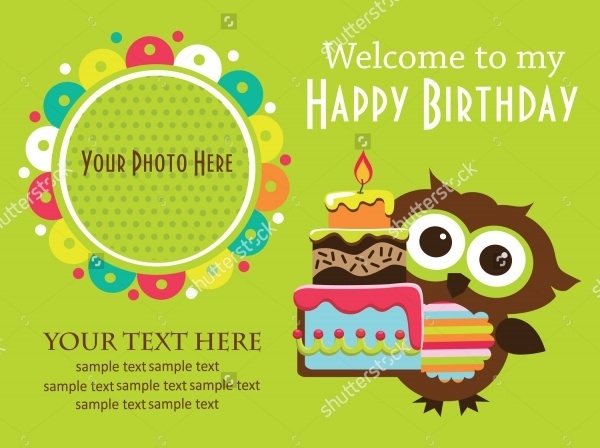 Check out this free birthday card template that you can download from the mentioned link and edit it to place your content and text using Illustrator. 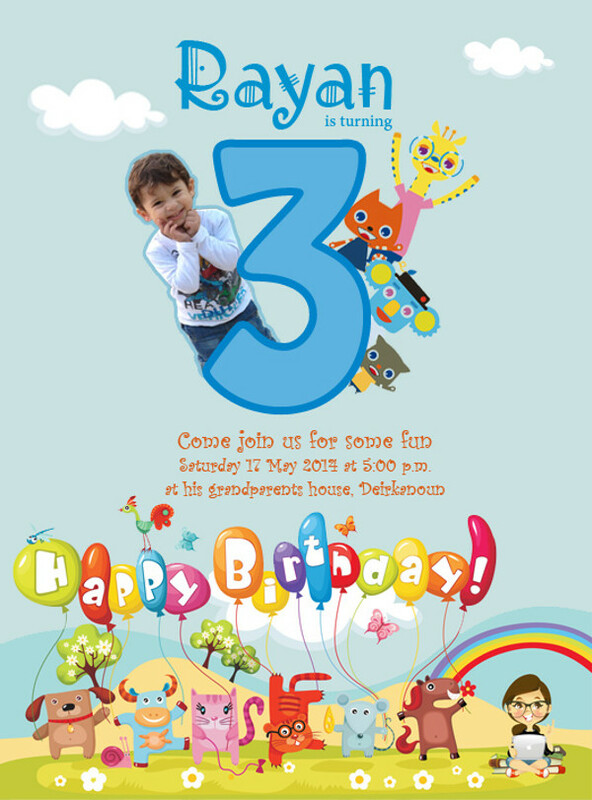 This design is by Mariam Makki for Rayan’s third birthday celebration. 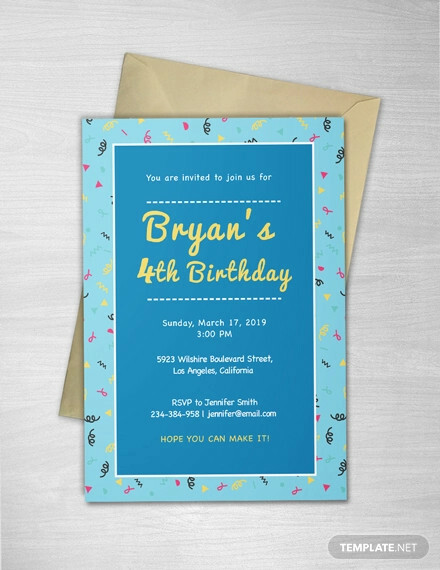 The same birthday invitation design can also be printed on a t-shirt except for the invitation details. 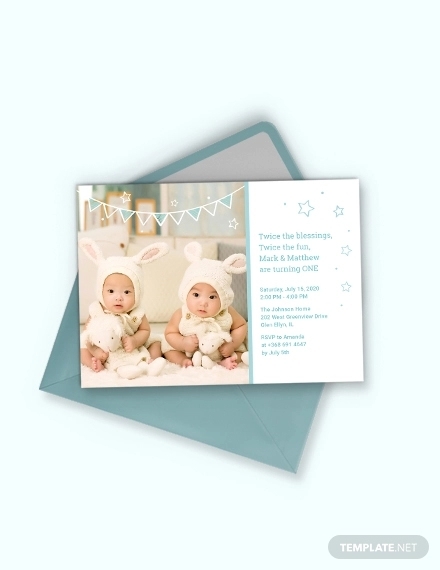 These children’s birthday invitation suit perfectly for both boys and girls. 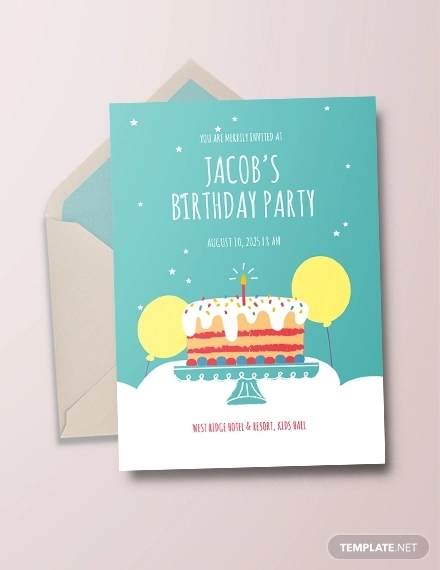 The overall theme or design of the invitation will always be the same, joyous, celebratory, and colorful. 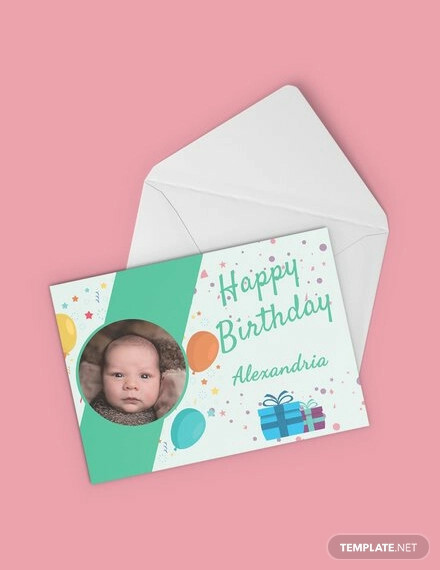 You can even add your own design element into one of these templates or you can find some inspiration to come up with a new design altogether for your kid or your client.